Seeing a mouse in the house is upsetting, but finding out that a rodent infestation has been lurking in your home for a long time is even worse. 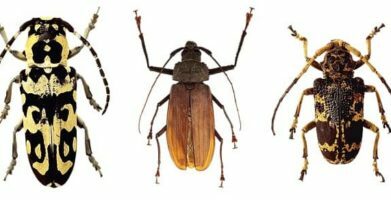 Knowing how to identify the signs of a pest problem will help you prevent infestations and keep your home pest free. Finding mouse droppings is one of the most obvious ways to discover you have a mouse problem in your home. In this article we’ll discuss what mouse poop looks like, the dangers of mouse poop in your home, and how to properly clean and dispose of the droppings. Is There a Mouse in your Home? Before you see an actual mouse, you may notice signs of mice — but if you don’t know what to look for, you may miss the signs! From “mice rice,” to “droppings,” knowing how to identify mouse poop can give you a head start when it comes to preventing infestations. Recognizing and being able to identify rodent droppings will give you the chance to clean up mouse poop properly, preventing disease and getting rid of mice before the problem gets out of hand. 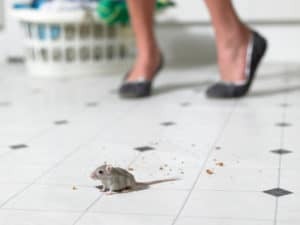 The dangers of mouse poop include many diseases that can be spread by mice droppings — from salmonella to Hantavirus — so cleaning up after an infestation is especially important. Mouse poop ranges in size from 3/16 to ¼ inch long — similar to a grain of rice, with pointed ends and color varying from blackish brown to gray depending on how old it is and the diet of the mouse. Fresh droppings are black, turning brown over the next week, and changing to grey over time. If a rodent has consumed pesticide from a bait station, the droppings may be the same color as the bait. Older rodent droppings will crumble upon contact, while fresh droppings will be soft and malleable (never touch droppings with your bare hands). 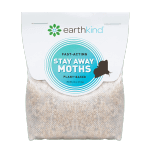 Mice can leave behind 50-75 pellets per day. The number and size of droppings you see can help you determine the severity and type of pest problem you are facing. Mice will poop while they are moving, so droppings will be seen along the paths they travel and in the places where they are finding food. They may poop near their nest, but they will not go to the bathroom in their actual nest — believe it or not, mice are like to keep their homes clean! While mouse droppings may not have any noticeable smell, mouse urine has a distinct ammonia smell. Mice have very poor eyesight, but a highly developed sense of smell. They can gather information from the scents left behind by rodent waste, such as where to find food and what areas to avoid. While you may not be able to find mouse droppings by smell, you may notice an ammonia smell from the urine they leave behind, and you can be certain it is the work of more than one mouse. 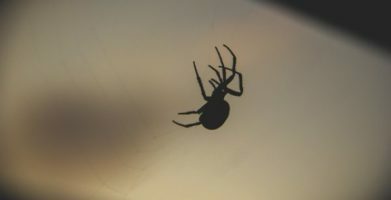 Although identifying droppings is a good way to figure out what kind of pest problem you have, it can be confusing. Rodent infestations can be the result of house mice, deer mice, roof rats, Norway rats, and even squirrels or raccoons. 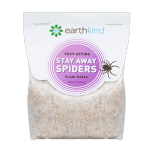 As mentioned above, mouse droppings are usually ¼ inch or less in length, and similar in size and shape to a grain of rice. Rat droppings are generally the same shape but larger, usually about a ½ inch in size. Squirrel droppings are similar in shape, but a little larger and thicker. Raccoon droppings are more similar in appearance to a small dog’s poop than mouse poop. Air out the space for 30 minutes before cleaning if possible. Wear rubber, latex, or vinyl gloves and a mask or respirator. Use a disinfectant spray (DIY by mixing 1 part bleach to 10 parts water) and soak area for 5 minutes. Clean area with disposable rags or paper towels. Put waste in a sealed plastic bag in a covered trash can. 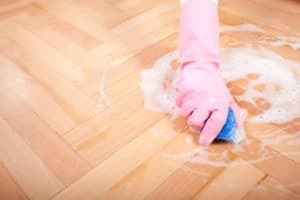 It is especially important to avoid sweeping or vacuuming areas where mice have been until after these steps have been completed. Sweeping or vacuuming can cause germs spread by mice to circulate in the air; if you inhale any pathogens from rodents, you could become seriously ill. Cleaning up after rodents is not an activity you want to repeat, so take time to inspect the area for potential entry points rodents may use to come inside. 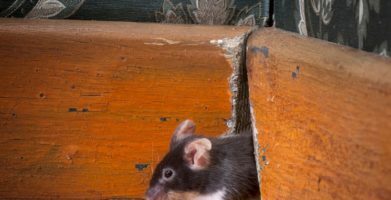 Rats and mice can enter through an opening that is smaller than a dime, and they can easily chew through foam insulation, wood, and plastic. If you notice any cracks around door or window frames, or open space where pipes, cables, and utility lines pass through the wall, block the openings with steel wool. Use silicone caulk to fill in cracks and gaps. 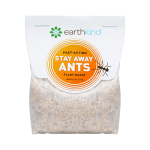 Make the area less attractive to household pests by cleaning up any available food sources such as dirty dishes, uncovered trash cans, or unattended pet food. Clear clutter so mice have fewer places to hide, and consider using rodent repellent to prevent mice. Finding mouse droppings is one of the most obvious ways to discover you have a mouse problem in your home. In this article we'll discuss what mouse poop looks like, the dangers of mouse poop in your home, and how to properly clean and dispose of the droppings. Before you see an actual mouse, you may notice signs of mice -- but if you don’t know what to look for, you may miss the signs! From “mice rice,” to “droppings,” knowing how to identify mouse poop can give you a head start when it comes to preventing infestations. Recognizing and being able to identify rodent droppings will give you the chance to clean up mouse poop properly, preventing disease and getting rid of mice before the problem gets out of hand. The dangers of mouse poop include many diseases that can be spread by mice droppings -- from salmonella to Hantavirus -- so cleaning up after an infestation is especially important. Mouse poop ranges in size from 3/16 to ¼ inch long -- similar to a grain of rice, with pointed ends and color varying from blackish brown to gray depending on how old it is and the diet of the mouse. Mice can leave behind 50-75 pellets per day. The number and size of droppings you see can help you determine the severity and type of pest problem you are facing. Mice will poop while they are moving, so droppings will be seen along the paths they travel and in the places where they are finding food. They may poop near their nest, but they will not go to the bathroom in their actual nest -- believe it or not, mice are like to keep their homes clean! While mouse droppings may not have any noticeable smell, mouse urine has a distinct ammonia smell. Mice have very poor eyesight, but a highly developed sense of smell. They can gather information from the scents left behind by rodent waste, such as where to find food and what areas to avoid. While you may not be able to find mouse droppings by smell, you may notice an ammonia smell from the urine they leave behind, and you can be certain it is the work of more than one mouse. string(59) "What Do Mouse Droppings Look Like & How to Get Ride of Mice"